Oscar Wilde’s penchant for pithy aphorisms may be his most appreciated trait now, but “Dorian Gray” succeeds on a different level: florid, eerie and murky. 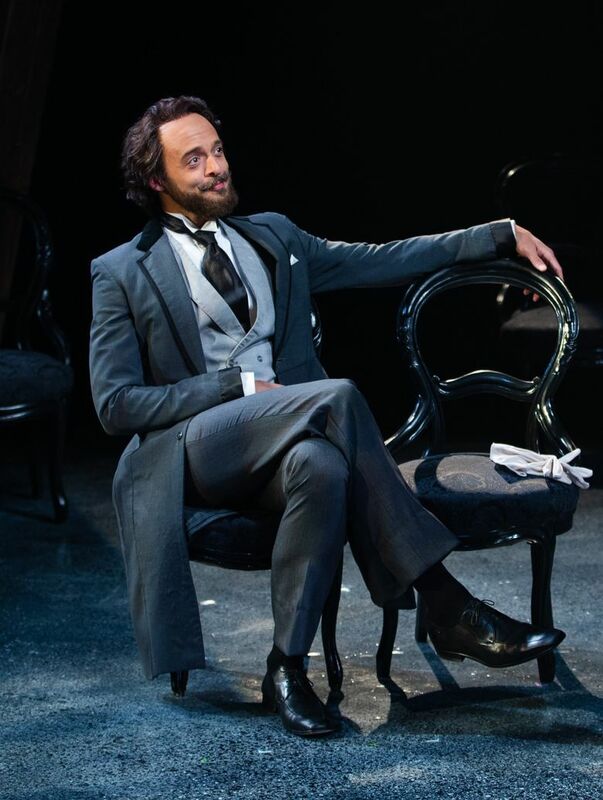 The stage is swathed in omnipresent murk in Book-It Repertory Theatre’s stylishly languorous production of “The Picture of Dorian Gray,” Oscar Wilde’s only novel. This haze that never seems to lift signifies the actual — clouds of cigarette smoke or an oppressively foggy London night — and the intangible — the amoral miasma that Dorian chooses to live in, freed from physical consequences by a magic painting. The first iteration of Wilde’s story appeared in Lippincott’s Monthly Magazine and sparked a moral panic, even after his editor censored much of the book’s homoeroticism without Wilde’s knowledge. 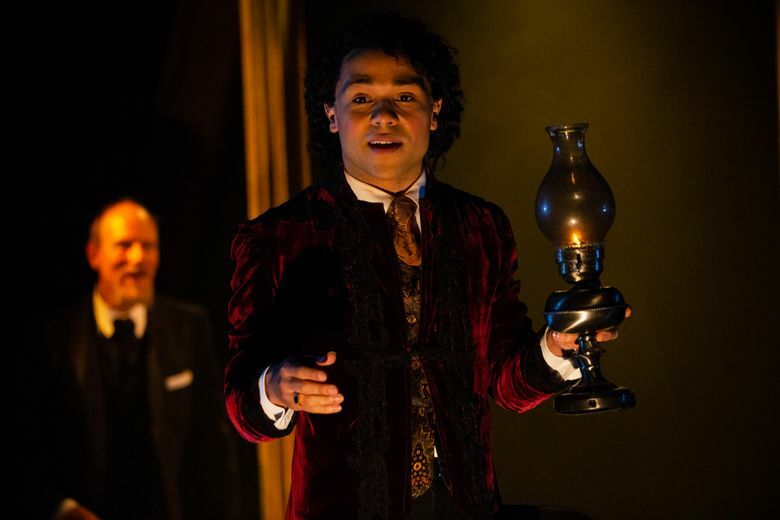 An expanded and revised version published later is the “Dorian Gray” most people are familiar with, but Book-It’s staging features an adaptation by Judd Parkin of the first typescript, which was unearthed and published in 2011. The sexual and romantic longing between men is made plain in this version, and the story’s moral ambiguities are thornier. 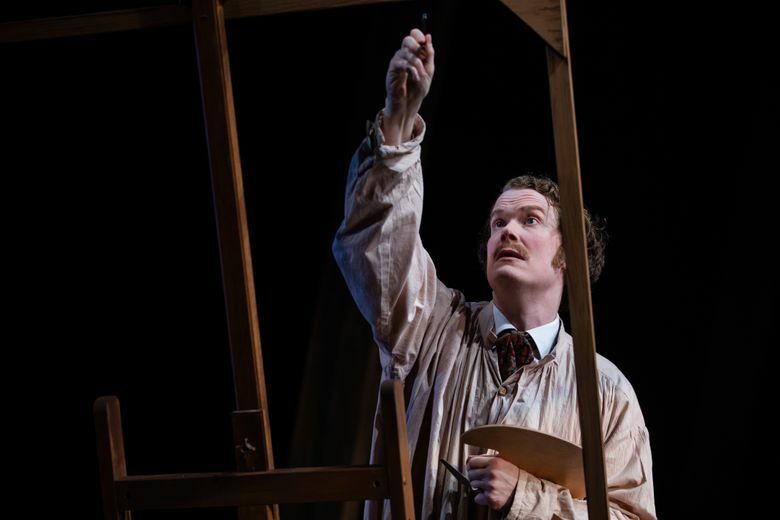 There are only three characters of much consequence in this telling: temperamental but good-hearted painter Basil Hallward (Jon Lutyens), hedonistic and charming aristocrat Lord Henry Wotton (Brandon J. Simmons) and Dorian (Chip Sherman), the young man they both become infatuated with. Basil has Dorian sit for a portrait, and his pent-up attraction spills out onto the canvas. Henry sees the potential for Dorian to be a kind of model as well, molding him into a person who indulges every licentious desire. A mystical Faustian pact Dorian inadvertently makes with the painting allows his body to remain free from the ensuing rot of his soul, with the figure in the painting bearing the brunt of age and debauchery. But it’s Simmons who really puts this production into another gear with his gleefully arch take on a man who just knows his enjoyment of life makes him superior to others. He flatters and fawns, and even feints at self-deprecation (“To get back my youth I would do anything in the world, except take exercise, get up early or be respectable”) but there’s a viciousness lurking beneath. It’s a performance that puts a charge into this deliberately paced telling. Director Victor Pappas makes room for Wilde’s sensual prose to unfurl slowly, and his mood-building is aided greatly by Andrew D. Smith’s spookily evocative lighting. 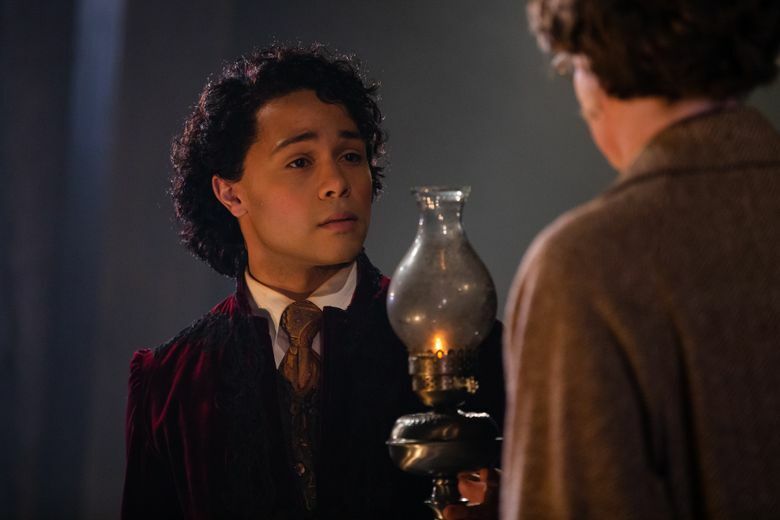 Dorian’s home, where he eventually banishes the morphing painting of himself to a locked upstairs room, is transformed into a house of horrors. A chorus of four actors struts demonically around the painting whenever Dorian is stricken by a new blemish, but it’s an unnecessary flourish given how effective Smith’s work is at setting the tone. When “The Picture of Dorian Gray” was republished in its bowdlerized version, Wilde included a series of shots at his critics. Among them: “There is no such thing as a moral or immoral book. Books are well written, or badly written. That is all.” Wilde’s penchant for pithy aphorisms may be his most appreciated trait now, but “Dorian Gray” succeeds on a different level: florid, eerie and murky. Book-It nails the mood.